Dr van der Lingen has written a long paper on global cooling and the impact that solar cycles have on the earth’s climate, with supporting material from recognized scientist. There are many scientific indications that we may be entering a period of global cooling. The most important indicator is the fact that the sun has become very quiet, not experienced for a hundred years. The main question now is: how long will the present 17 year warming standstill continue? An associated question is: will global cooling become more obvious in the coming years? The final question then will have to be: provided these two questions will be answered in the positive, how long will the DAGW promoters, especially the IPCC, persevere in maintaining that their hypothesis is the correct one? Time will tell. I agree. Time will reveal the truth. If the planet cools as CO2 increases it will eventually prove those promoting anthropogenic global warming wrong. The real question is how long will the DAGW crowd be able to sustain their CO2 modeling fraud? The sun is very active for the last few days – nothing different is happening = sun not guilty. 2] your example of the ”heater” gives only half truth: a] when the sun produces more heat on the earth -> air / oxygen &nitrogen / ”troposphere” expand INSTANTLY -> release extra heat and equalizes in a jiffy! horizontal winds cool the land and water / ”vertical” winds are cooling the planet = when gets warmer than normal, for ANY reason -> vertical winds increase in speed. Cheers! I suggest three sources which should also be considered. The first is “The Chilling Stars” from Henrik Svensmark and Nigel Calder which offers a very plausible explanation of how the number of highest energy (EeV, 10^21) eV is regulated by the sun. The second is “The Great Global Warming Swindle” which offers an entertaining explanation of the above available on YouTube. The third very relevant source is the website of the Pierre Auget Cosmic Ray Observatory, “studying ultra-high energy cosmic rays, the most energetic and rarest of particles in the universe. When these particles strike the earth’s atmosphere, they produce extensive air showers made of billions of secondary particles. While much progress has been made in nearly a century of research in understanding cosmic rays with low to moderate energies, those with extremely high energies remain mysterious.” Colorado State University also works closely with the Pierre Auget Observatory. Thanks for the tip on the Pierre Auget Cosmic Ray Observatory. I will look it up and check our their work. 4] sunspots / sun-flares have influence on electronics, BUT nothing to do with any warming on the earth – will be proven soon. 2014 was the warmest year yet. Until 2015 came along and blew it out of the water. Now 2016 is warmer YET. All this has happened when there has been VERY LITTLE SUN SPOT ACTIVITY. I think you need to go back to the drawing board. You may also start thinking that the thousands of climate scientists are right: CO2 is warming the planet…..just as was predicted. Waming was due to an El Niño event in the Pacific, which is rapidly decining. The AMO is cooling and the average high tempts are declining at weather stations across the nation. 2016 will not be the warmest year. Much of the warming you sited is because of “adjustments” to the NOAA/NASA data. The Satellites data sets do not show that 2014 was the hostest year. Even the joggered data shows that actual temperatures are out side the model predicted warming. You need return the the real world. There is no correlation between CO2 and temperatures. Assessments of ‘Warmest Year’, indeed many of the climate claims being made, are based purely on surface temperatures, which can be highly misleading. In order to fully understand climate behaviour it is necessary to understand the behaviour of the atmosphere ‘in depth’. Our ability to do so unfortunately has a very limited history. We can look at full depth charts since around 1985, anything before that is computer generated guesswork, useful but limited. If we look at those computer – plus real – charts from the 1880’s to today there are indications of a warming trend to around early 2000’s. 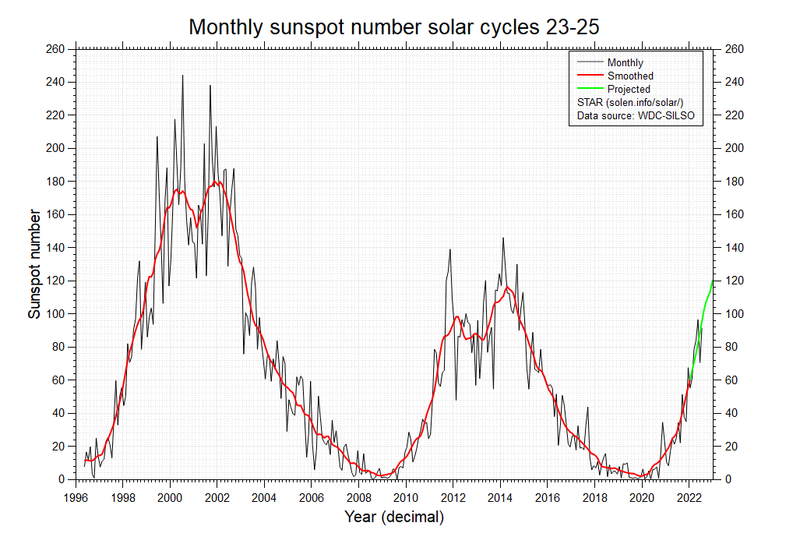 From there, we see what seems to be the early indications of a cooling trend – which would align with the ‘solar slow-down’ concept that has been in evidence over the last solar cycle. The key factors are the deep atmosphere temperature and pressure gradients, which vary constantly with the seasons, but which, long term, show variable tendencies that can give a far closer assessment than purely surface related data. It is perfectly possible to slot selected data into any calculation in order to ‘prove’ the desired version of reality – as has been said, anyone is entitled to their own opinion, they are not entitled to their own data set. We are very much in a watch and wonder phase, humanity doesn’t really have the in depth science to fully understand – yet – exactly what is happening, but we are getting there!